The Australian Competition and Consumer Commission has blocked the proposed acquisition of container park operator Maritime Container Services by POTA NSW Pty Ltd, part owned by DP World and Chris Corrigan’s KFM. "After market inquiries the ACCC has concluded that the acquisition of MCS would be likely to substantially lessen competition in the market for empty container parking with access to a rail facility, and this is in contravention of the Trade Practices Act 1974," ACCC chairman Graeme Samuel said. MCS and POTA NSW both operate parks that provide storage and other services for empty containers in the Port Botany precinct with rail access. The only other provider of storage services of this type in the area is Patricks’ facility in Camellia. 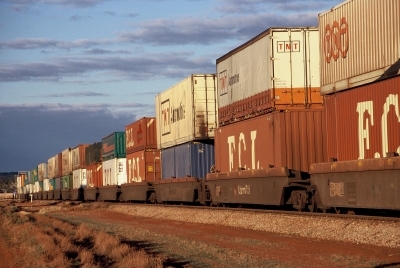 The ACCC therefore felt that the proposed acquisition would result in a reduction in the number of operators offering storage for empty containers moved by rail from three to two. It said market inquiries with competitors, customers and other interested parties revealed significant competition concerns. Concerns were also expressed at the recent introduction of fees imposed on trains entering the POTA facility at Port Botany to collect empty containers. The MCS site at Cooks River currently provides an alternative location for rail operators to access its container facility without having to pay an access fee. The ACCC will publish a Public Competition Assessment on its website at www.accc.gov.au. Go to Public Registers, Mergers, and then Public Competition Assessments.